Oh wow. Vlogging is SO much harder than it looks! I was so nervous, which I'm sure comes across in the video, but I'm hoping the more I vlog, the more confident I will get. Any tips or tricks are welcome, but be nice, I'm new to this! As I mentioned in the vlog, I have done lots of shopping this month. Here are some of the accessories and pieces of jewellery I have purchased! These rings were £1 for all 3 in New Look! For some strange reason, all my cross rings have disappeared, so I was very happy to come across these! These three beauties were from Accessorize. As I have mentioned in a blog post before, I will one day have draw after draw filled with rows of beautiful rings... so purchasing 7 rings on one day didn't seem too extreme. I absolutely love these rings and I got 70% off, so I couldn't say no! I got them for £2.40! This double ring was 50p from Primark so a super bargin! 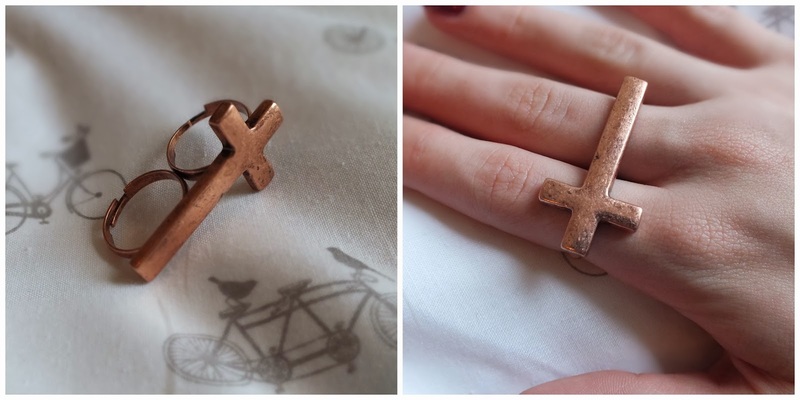 I used to have a silver cross two finger ring that has disappeared somewhere so it's nice to have a replacement. My favourite purchase, also from Accessorize for only £3.60. I decided I don't wear enough bracelets, normally due to that fact I choose a necklace, I choose my rings accordingly depending on what necklace (gold, silver, rose gold etc...) so by the time I get to bracelets I'm fed up of trying to match things and I give up! But I want to start wearing more of them. 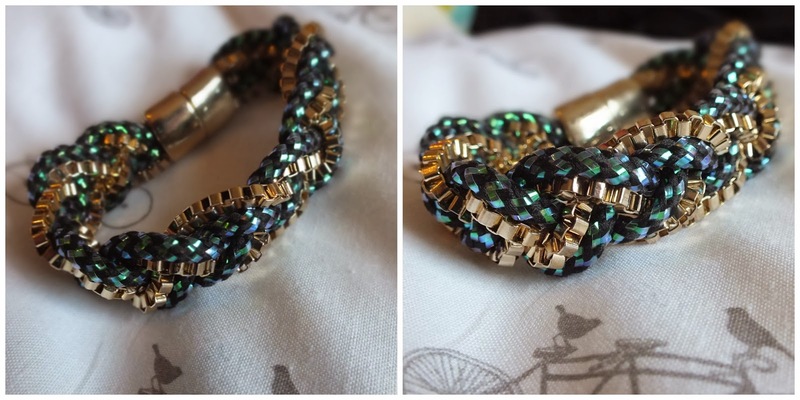 I love the iridescent green that runs throughout the bracelet and I haven't taken it off since I got it. Although, I am hoping it doesn't fall off though, as it is only magnets holding it on! This was also to start off the bracelet collection. A simple pyramid stud bracelet in silver that was £1.80 from Accessorize! This bag is from Asos, £12 in the sale! 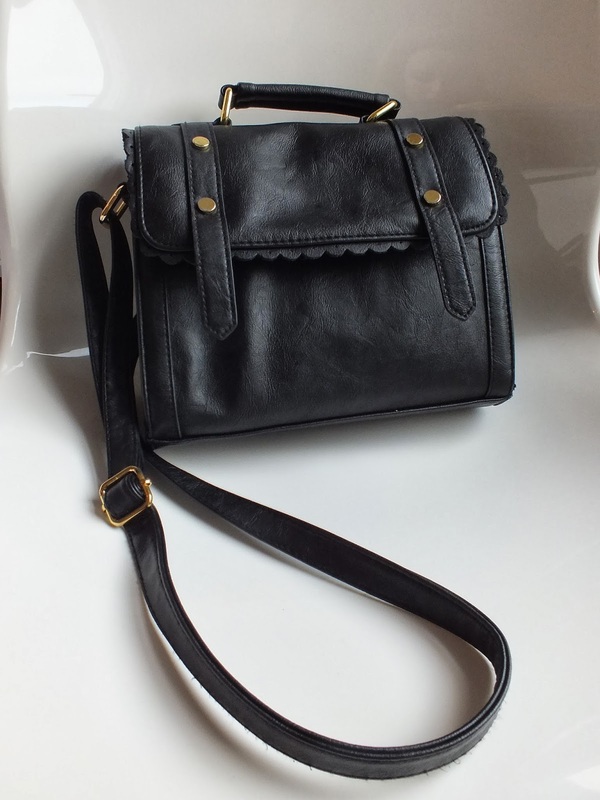 It's a black satchel with gold studs and scalloped edges. I haven't stopped using it since it arrived. It's the perfect size to fit everything I need in it! Seems to fit a lot more than it looks too, which is always handy! You can buy it here! I hope you enjoyed this little winter sales jewellery and accessories haul! What bargins have you bought in the sales? Link me to any of your blog posts or youtube videos about it, I'd love to see them! 10 Things That Made Me Smile This Week! Nothing Beats Movies & Pizza!